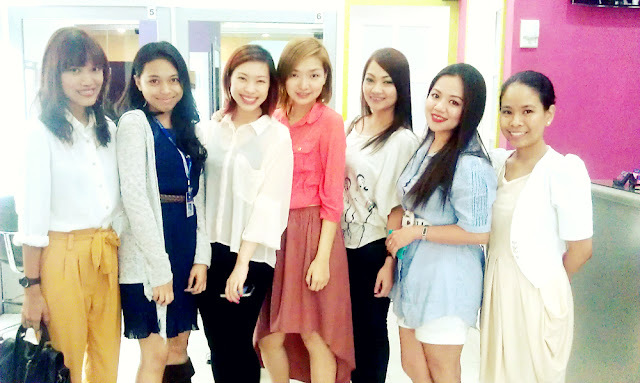 Been going to lots of meetings nowadays for the upcoming Bloggers United Summer Bazaar. It's tiring but worth it! Wish us luck! 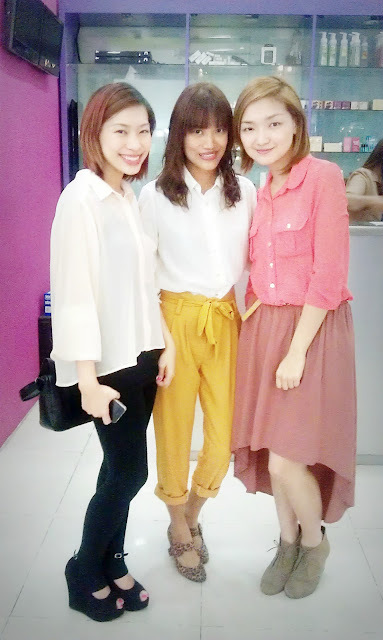 :) So Ana and I went to Raffles Design Institute last week to meet with it's owner and their marketing person Meg. Nosebleed galore but it went great! Finally got the chance to visit & tour the campus. :) But first, what I wore! It's funny how Ana and I ended up wearing almost the same outfit! Same peg lang. Hehe. We both wanted to look sleek and chic for the meeting. Pumped up an otherwise classic outfit with my new collar tips from PlusMinusTimesDivide and my leopard heels which was a hand me down from Mich's mom! Here are the rest of the photos! 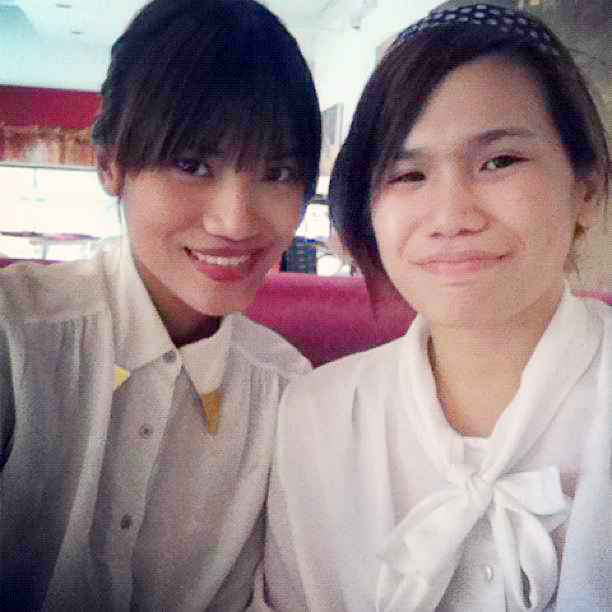 with pretty Meg! Thanks for the tour! After RAFFLES, Ana and I decided to kill time by you guessed it right, eating na naman. Haha. Decided to try out Sweet Bella cafe this time. It's a little pricey but as you know walang pricey pricey sa taong super mega gutom! mango cake! tastes like ref cake, winner! my P300+ longganisa meal. Yummy sha in fair! 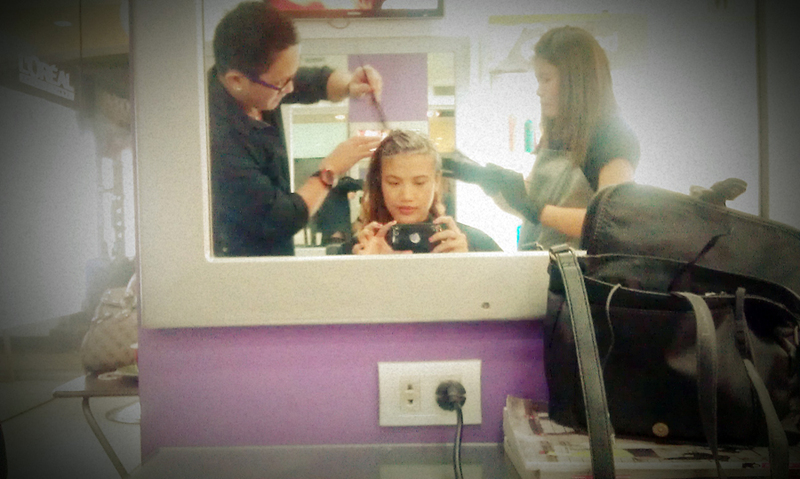 We parted ways afterwards and I headed straight to Benefits Style Salon in Eastwood. 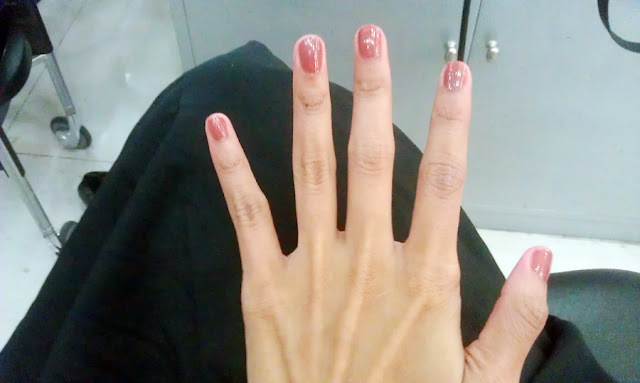 Nothing beats an amazing pampering session after a long day! Love this color! forgot what it's called though. Heh. Helga and her super awesome neon pink hair! in fair bet ko my eyelashes here! hehe. Love my new brows after! with the very fasyown owners, Robina and Roseann! They also own Azta! :) Thanks again! Thanks again Benefits for treating us like queens! Will be back soon. 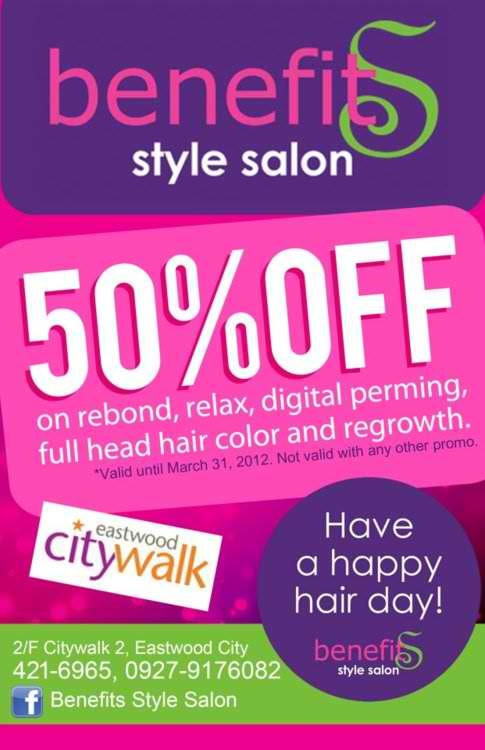 Oh and they're having a promo! 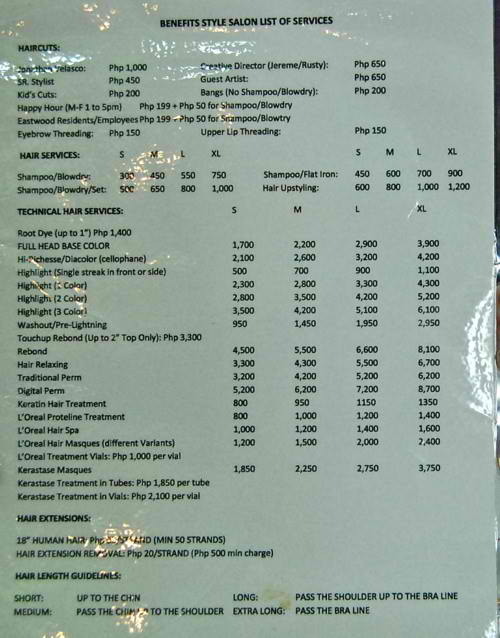 Parang I wanna digiperm again. Heh. The salon looks so nice! Love your yellow trousers, the fit is awesome! wow!! interesting!! want to try a new look and colored hair this summer!! Oooh! like Helga's hair. 'cept my mom's (and maybe most the people i know) gonna freak out if get loud hair color.